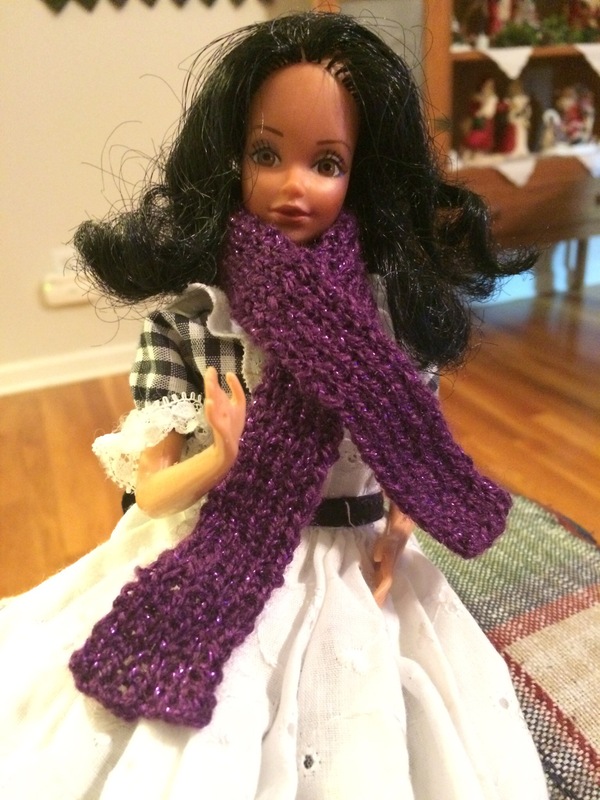 It’s getting chilly, so I made Barbie a scarf. It was the perfect starter pattern because it let me gauge my gauge! (😆 knitting humor) This is my favorite Barbie, but she has a high forehead and thinning hair. I think I’ll try to knit the matching cap. 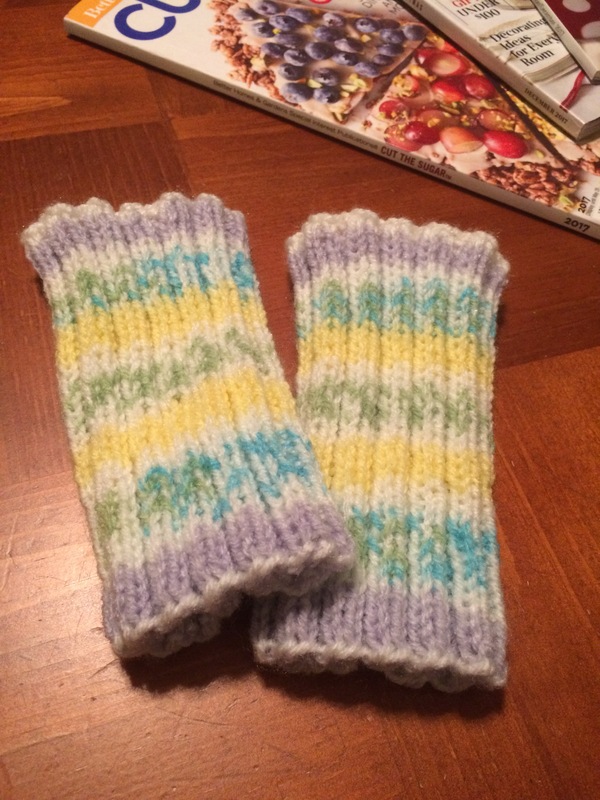 The yarn is from Lion Brand’s Bon Bons, the Celebrate collection. The pattern is a simple K1P1 rib knit across 10 stitches on size 0 needles. It’s 10 inches long, bound off in the rib pattern. My granddaughter spotted this yarn in my knitting box and wanted leg warmers. They’re finished! They look very narrow, but that K2P2 rib stitch is very stretchy. If you are using a self-striping yarn, take note in the beginning the place (color) in the pattern where you start casting on. Choose the same place (color) to start casting on when you knit the second one. They’ll match!